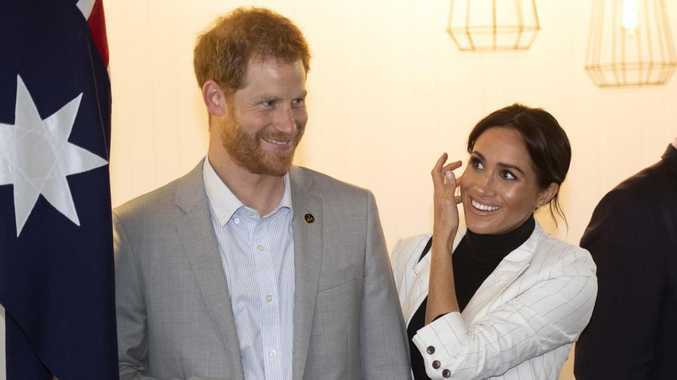 Prince Harry and Meghan Markle will today touch down in Fraser Island. VICTORIA Beckham was reportedly left humiliated and in "floods of tears" after her husband David described their marriage as "hard work". 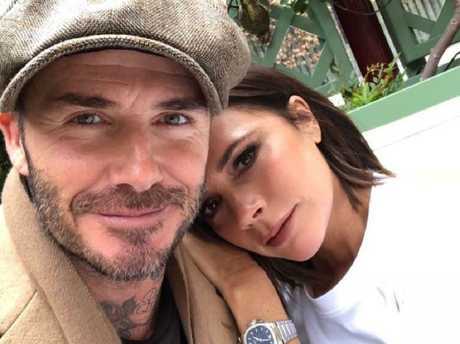 A friend said it was as if a "nuclear bomb had gone off" in the Beckham house after he sparked renewed speculation about the state of their marriage. "When you've been married for the amount of time that we have, it's always hard work," David told The Sunday Project, in an interview which aired last night. Victoria Beckham was reportedly upset after her husband David described their marriage as ‘hard work’. According to a close friend of the Beckhams, the comment didn't go down so well with his wife. "When Victoria was given the heads up on Wednesday about David's interview, she was absolutely devastated," the friend told The Sun. The interview came just four months after the couple was hit by unfounded claims their almost 20-year marriage was on the rocks. After the incident, Victoria spent two nights at the five-star Brenners Park-Hotel & Spa, a stress-management clinic in Baden-Baden, Germany. The 43-year-old posted an Instagram selfie hiking in the region, sparking rumours over whether she would even join her family in Australia for the Invictus Games. But Victoria came through, and the celebrity couple touched down in Australia together at around 7am yesterday. After a long flight from London to Sydney, the pair arrived with three of their children, Romeo, 16, Cruz, 13, and Harper, 7. 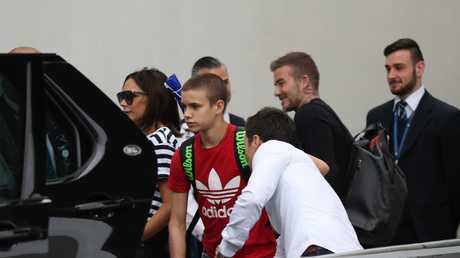 After a long flight from London, the Beckham family finally arrived in Sydney yesterday. The couple will make a formal appearance at the Games later this week. Meghan will not be attending engagements in Fraser Island today. Victoria had her trademark pout on as she was snapped in the car. The Duchess of Sussex will still travel to the region as a tourist, but disappointed Queenslanders won't get to see her after the palace confirmed she won't be taking part in any official engagements due to rough terrain. "After a busy program, the Duke and Duchess have decided to cut back the Duchess's schedule slightly for the next couple of days, ahead of the final week-and-a-half of the tour," Kensington Palace said in a statement. "The Duke will continue with the engagements on Fraser Island as planned." It's believed she has not been suffering morning sickness, but she has been left worn out after a series of back-to-back official events around the country this past week. The 37-year-old showed no sign of her tiredness yesterday, looking radiant in a black dress and smiling graciously during the couple's final public appearance in the city, a function for the Invictus Games Foundation at Government House. They were supposed to spend yesterday at Invictus Games events on and around Sydney Harbour. But after a storm delayed the opening ceremony on Saturday night, Meghan decided not to attend the morning Invictus cycling medal presentation in Sydney's Domain. Instead, she chose to rest back at Admiralty House where the royals have been staying, prompting speculation over her health. Prince Harry was left to hand out medals by himself. As he left the medal ceremony and walked past the NSW Art Gallery, disappointed onlookers yelled out "Harry, where's Meghan?" He told the crowd: "She's resting at home. Being pregnant takes its toll." The Duke of Sussex will take part in a traditional welcome ceremony and unveil the Queen's Commonwealth Canopy plaque later today. He is also scheduled to visit one of the sand island's most iconic lakes, before heading to the beach. Prince Harry will then travel to Kingfisher Bay by boat, and meet excited locals along the picturesque Kingfisher Bay Jetty.